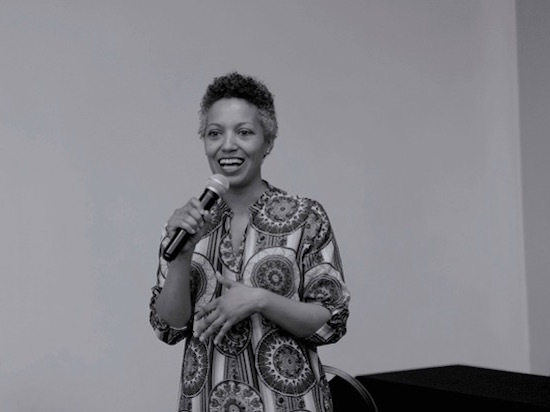 Natasha Becker is a South African contemporary art curator with a global outlook and specific expertise in contemporary art from Africa and the African Diaspora. An independent curator since 2007, she is dedicated to working closely with artists to create and platform their work, and advance appreciation of diverse cultures and perspectives. Her curatorial focus is on artists who tackle complex subject matter, experiment with form and move cultural conversations forward in society. As Assistant Director in the Research and Academic Program at the Clark Art Institute (Massachusetts) she organized numerous International collaborations with scholars and institutions in Africa, East-Central Europe, and the Indian Ocean region (2007-2013). She also founded an International Video Art Festival in Greenfield, a small town in rural Massachusetts, inviting regional curators to organize site-specific installations of video art in a variety of mixed-use and historic buildings (2009-2014). More recently, she was Senior Curator at the Goodman Gallery in South Africa where she produced solo and group exhibitions of women artists, in particular (2015-2016). She has a Bachelor of Arts Degree in History, English, and Philosophy, and a Masters degree in History, with a specialization in visual culture, from the University of the Western Cape, Cape Town.